Hi there! If you want to learn bead-weaving or improve your skills through detailed step-by-step beading tutorials, then you are in the right place! My name is Maria and my goal is to make learning the art of bead-weaving easy. Shop a selection of detailed beading patterns. Boost your beading knowledge with how-to projects. New to beading? Start your bead-weaving journey here. A few years ago, a co-worker wanted a friend to join her while she took a beaded jewelry-making class at a community centre. After the first person she asked declined, she turned to me. I had never even considered making jewelry but I love crafts so I agreed (but not before teasing her that I wouldn’t do it because she asked me second). After my first class, I was hooked! My addiction grew to the point where I opened my own bead shop several years later. There, I taught classes and quickly realized that lots of people struggled to read beading patterns. I decided that I wanted to make this wonderful craft more accessible to everyone. Simple patterns were a must! 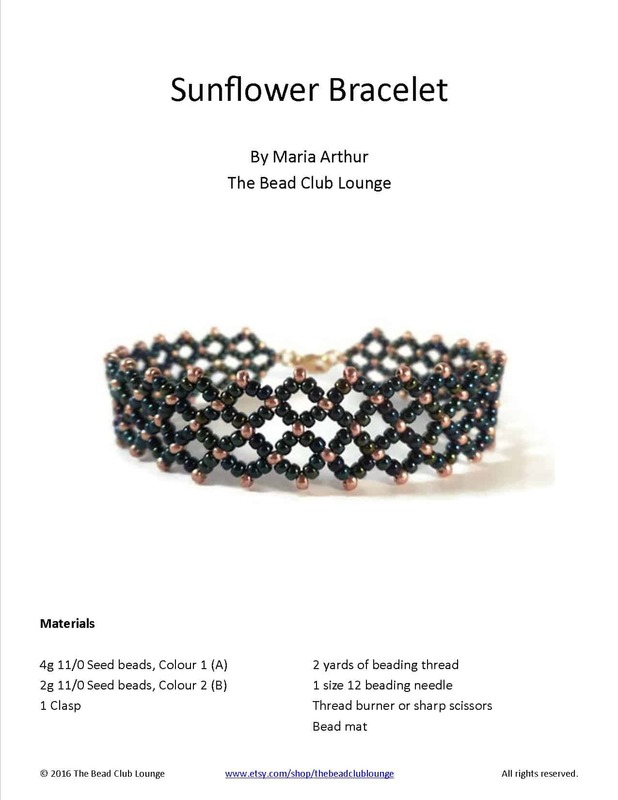 The Bead Club Lounge was created to meet the need for easy-to-understand beading patterns and every beading club needs a lounge for members to kick back with a pile of beads and a pattern, right? Through my YouTube channel, Etsy shop and now, this website, I have taught thousands virtually and have loved every second of it because I enjoy sharing my passion for bead weaving with others.